Order this design printed in black ink on a Black Next level Men's CVC Crew 6210. Show your support for your favorite Unicycle Derby team! 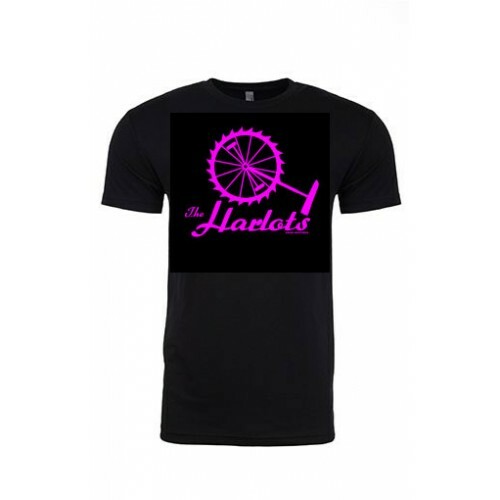 The Harlots Unicycle Derby Team first appeared in Kakos Industries announcements 28 - Vincent. (They don't make men's/unisex shirts in Raspberry, so this one is black).